Para información en español, consulte el folleto de abajo. 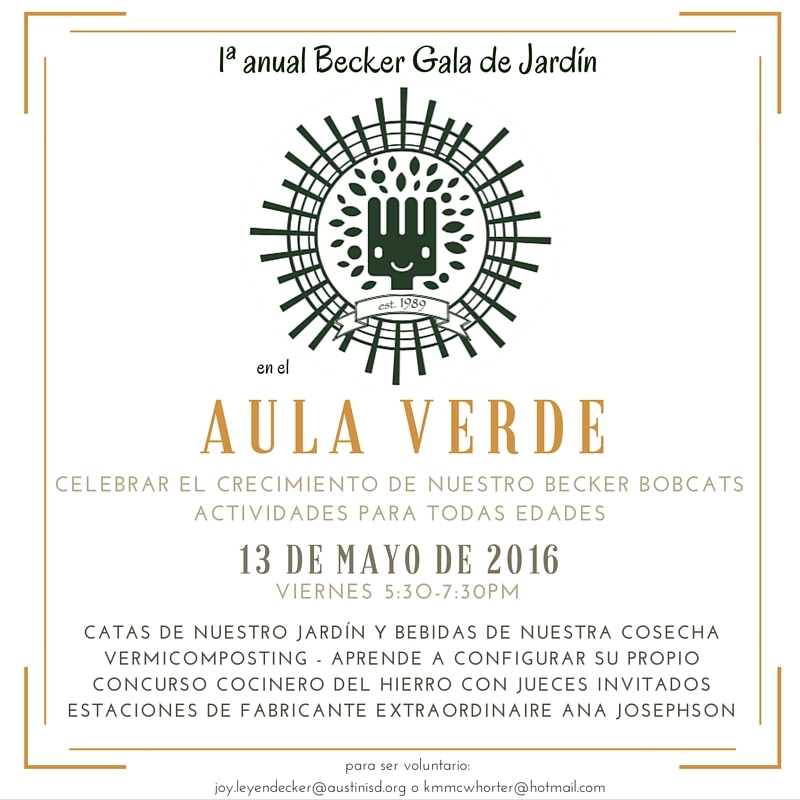 Please join us for an evening of fun as we celebrate all that our Bobcats have grown in our own unique Green Classroom! Get down to some of our favorite Bobcat entertainment acts and snag a taco from Cool Beans eatery while you get crafty at our maker stations or get hip on how to turn your kitchen scraps into black gold via vermicomposting. Umami what? Our Bobcat Top Chef contestants will show off all they have learned this year on balancing the five basic tastes as the highlight of our Gala. You do not want to miss this! http://vols.pt/PHyojD, support us via PayPal, or contact Samantha Hooten at 210-445-6277 or Marni Mees at 512-619-7504 for sponsorship opportunities. 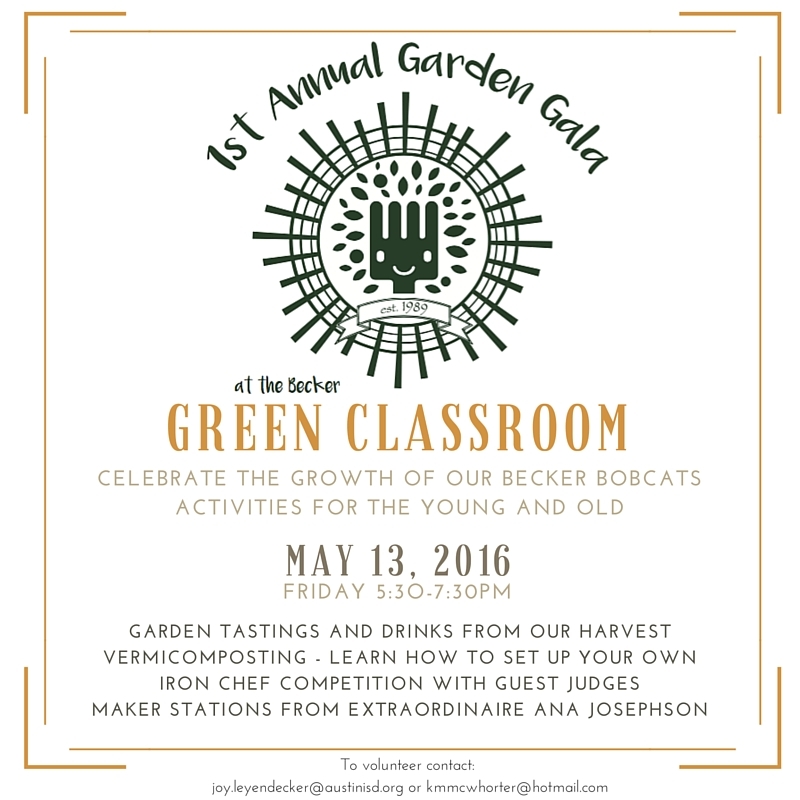 Friday, May 13th 5:30-7:30PM at the Becker Green Classroom. Viva Becker!!! !